Monitor Gas Fired Boilers are unlike other boiler systems; these gas-fired boilers were designed with efficiency in mind. They are very compact but the work with a high performance quality. Monitor Gas Fired Residential Boilers are all wall hung units making installation easy and the space you will save alone is well worth every penny. 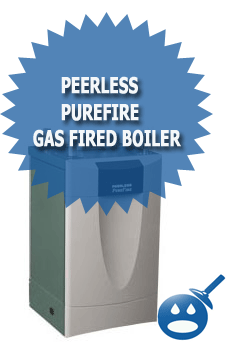 The Monitor Gas Fired Boiler Series offers boilers with your choice of Natural Gas or Liquid Propane. There are many different concepts to installation and not only is it a boiler, but they offer space heating options, domestic hot water and snow melting options and even pool and spa heating too. 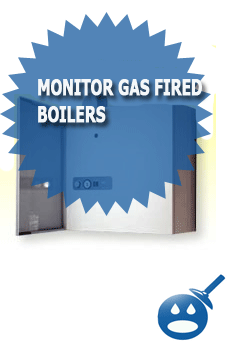 The Monitor Gas Fired Boilers are designed for residential use and these boilers are guaranteed to bring 100% reliable service every time. The Monitor Gas Fired Boilers offer an Energy Star rating which means you can guarantee a cost effective way to heat your home. There are 3 different models that the Monitor Boilers offer, the MZ Gas Fired Boiler Model MZ25S, the MZ25C and the MZ40C. Let’s take a look at what these boilers can offer you. The Monitor Model MZ25S gas Fired Boiler offers medicine cabinet size boilers that have a built in flash hot water tank. There are no big bulky water tanks to install. These boilers are perfect if you have very limited space in your home or even for condominiums. The Monitor Model MZ25S offers two special functions, it can offer the comfort of heating your home at an efficient price and it can be used for domestic hot water. The Model MZ25S offers an Energy Star Efficiency Rating of 95% and the Input of BTUH of 94,500. You may be hard pressed to find a compact boiler that can deliver these numbers. The unit measures in at 30″ H x 30″ W x 13″ D. You will get an instant hot water rate of 2.9 gallons per minute. The unit is a direct flue unit and it has some great features built in. You will get a Honeywell Positive Pressure Gas Valve, an Air Eliminator, a Low Water Cut off Valve, a Relief Valve and a Expansion Tank all built into this one little but powerful unit. This model is one of the most popular in the series. It has the extra functions of comfort heating your home, which is important especially with weather becoming colder by the year; it would be great to have the comfort of heat at a price you can afford. This unit is Energy Star Rated at an efficiency of 95% with an Input BTUH rating of 94, 500. This unit has a BS Indirect Tank, which provides the customer with hot water production of 193 to 273 gallons per hour. The Model MZ25C has some great features built in, they offer a Grundfos # 1542 Circulating Pump, a Honeywell Positive Pressure Gas Valve, an Air Eliminator, Relief Tank and an Expansion Tank all built in. 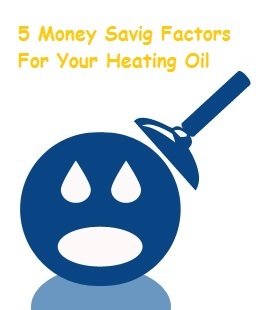 This will also save you money because everything is included into one boiler package. The Monitor Model MZ40C offers a technologically advanced system. The MZ40C has a dual stainless steel burner set up that will provide the unit with 71,000 BTUH Output and a total BTU rating of 142,000. One of the special features about this boiler is that the system can sense when the return water temp is less than 12 degrees Fahrenheit from the outgoing portion of the boilers. One burner will shut down as the other one will still heat the home and it will actually increase the boiler’s efficiency. This unit unlike the other two can be used for small apartment buildings, restaurants and commercial buildings. This unit’s sole function is to provide comfort heat the hot water function is a separate function. The Energy Star Rating is 95% and there is no clearance needed for combustibles. The MZ40C offers a hot water production (also with a BS Indirect Tank) of 250 gallons per hour to 352 gallons per hour. The MZ40C is a direct venting system and like the other two MZ Series Boilers, the MZ40C comes with an air eliminator, a relief valve, a Grundfos Circulating Pump, a Low Water Cut Off and the Honeywell Positive Gas Valve. Whether you choose the MZ25C, the MZ25S or the MZ40C, the Monitor Gas Fired Boiler System is compact, energy efficient and you can save a lot of money on your home heating bills. If you are still using an old fashioned, out dated boiler system, maybe it is time to upgrade. Choose the Monitor Gas Fired Boiler Series and choose the model that is right for you. I have a monitor MZ40 which has now failed for the second time in 6years. The Stainless steel condensing pan has rusted through and leaks. The monitor reps are refusing to honor the warranty. Beware of these boilers!! Hello Paul, I have the same boiler and have had continual problems with it. I’ve left a message with Monitor Products but haven’t heard back. Did you ever get your issue resolved? I understand they have discontinued the MZ line. I am the part of Monitor Products Technical support team and am incharge of the warranty department. Paul A says we will nothonor the warranty and i am not sure of this case but what i can say is we give a ten year warranty on our heat exchangers and the condensing pan is apart of the heat exchanger, i do not know why you say you were rejected i have personaly only had two cases were this had happened to the pan and i have given warrantys to both of them. So Paul if you would like to contact me i will look into your warranty claim, 1(800) 524-1102 ext 24 is my direct line. We here at Monitor Products pride ourselves on our customer support and our warrantys so i look forward to hearing from you. Thanks for stopping by and providing that information for everyone, Good to see you guys are great with customer service! We have an MZ 25C that has ceased to fire. The fan turns on and runs for ~ 5 seconds and then shuts down. Troubleshooting advise will be most welcome, because this is our primary heat source, and we are begiinning to have freezing weather. Having trouble with ours as well. Boiler has dumped all the glycol out of it. In process of trying to warranty it. RIck, I suggest checking the condensing collection tube to see if the heat exchanger is leaking fluids. Our problems started with the boiler not firing for domestic hot water. think it’s probably a leak which was preventing it from igniting. Has now burned out our pumps and wiring. I installed an MZ25C back in 2001. I’ve had quite a few nagging problems with it, mainly the draft inducer (Blower) has been noisy, sounding like a siren, and weak. It sometimes would fail to produce enough air flow to open the differential pressure switch, and I would come home to a 45 degree house. I resorted to leaving the cover open to reduce intake air resistance – not exactly safe, but it’s the only way it would run. I also had several ignition transformers fail, until I modified the boiler to use the commonly available Becket 51771U oil burner igniter, which works great. I replaced the PVC flue pipe inside the boiler, which had melted and cracked from excess heat caused by the poor flue gas flow. So now to my reason for posting. After purchasing a replacement boiler (Navien NHB-110) I started to take the MZ apart. I took the blower unit off for the 100th time and looked at the rating plate. It says G2E176-AB75 115VAC, okay – so I take it apart and look at the motor. It says M2E052-BF 230VAC 50/60Hz. 230V !!!! Now I don’t really want to replace this boiler until next summer (it’s cold here now), so I put everything back together, bought a (230v motor spec) 0.75uf run capacitor (instead of the 2uf used on 115v), and a 115 to 230VAC step-up travel transformer. I wired them into the boiler so that the blower now gets 225VAC when there is a heat call. Guess what? THE BOILER RUNS GREAT and it’s about 70db quieter. So thanks Monitor Products Company for the 15 years of aggravation and giant gas bills – all because your QC missed the fact that this boiler clearly could never have passed the CO2 and CO setup, sounded like the Fire Department was arriving and the support that you provided to me was non-existent. Just keep buying crap made in France!